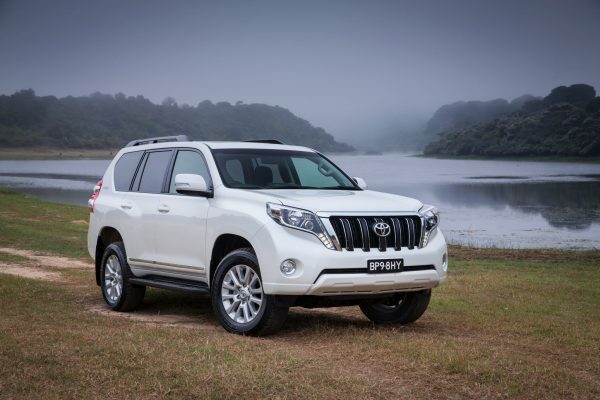 Toyota has scaled new heights of value, convenience and on-road appeal with the announcement of a LandCruiser Prado Altitude special-edition model. The Prado Altitude, based on the already well-equipped GXL turbo-diesel with automatic transmission, delivers at least $10,000 of extra features for just $5,000. Toyota’s makeover is instantly recognisable because the Prado Altitude, unlike regular Prado models, carries the spare tyre underneath the vehicle rather than on the tailgate. The convenience of the clean rear design is further enhanced by a glass hatch that opens independently of the tailgate to provide access to the spacious luggage area. Prado Altitude is also distinguished by stylish new 18-inch alloy wheels, a tilt-and-slide moonroof, auto-levelling LED headlamps and chrome side mouldings. 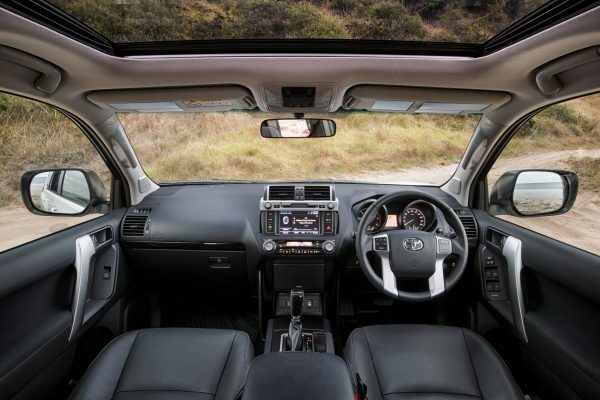 Inside, the special-edition Prado focuses on even higher levels of comfort, convenience and entertainment, including the addition of black leather-accented upholstery. Front-seat occupants can obtain the best possible position with power-operated seats – eight-way for the driver and four-way for the passenger. Once settled into the trip, occupants are treated to a premium JBL 14-speaker audio system that also offers digital (DAB+) radio. Back-seat passengers can also “tune out” by tuning in to a Blu-ray rear entertainment system that features a ceiling-mounted 9-inch monitor and 5.1-channel surround sound – all enjoyed through three wireless headphones and remote control. Prado’s relocated spare tyre replaces a second fuel tank, giving added convenience to owners who do not require the extended driving range. The main tank holds up to 87 litres of diesel fuel. 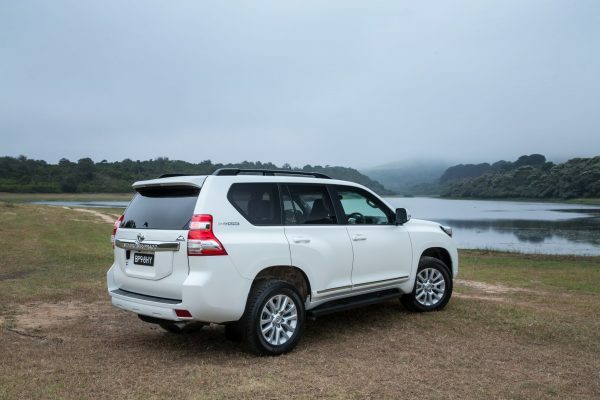 Toyota Australia’s executive director sales and marketing Tony Cramb said the $68,230* Prado Altitude is remarkable for both its style and value. “Buyers will appreciate all the new features that make Prado Altitude even more luxurious and practical, including a lighter tailgate that is easier to open – particularly useful in tight city parking,” Mr Cramb said. Equipped with the impressive traction of constant four-wheel drive, Prado Altitude is powered by a high-torque 2.8-litre four-cylinder turbo-diesel engine generating 450Nm of torque from as low as 1600rpm, all the way to 2400rpm. Combined-cycle fuel economy is just 8.0 litres per 100km#. Prado Altitude retains up-market GXL features including reversing camera, satellite navigation viewed on a seven-inch display screen, cruise control, three-zone climate-controlled air-conditioning, rear parking sensors, audio controls on the steering wheel and keyless smart entry and ignition. Other standard safety features fitted to every Prado include seven airbags, vehicle stability and traction control, anti-skid brakes, hill-start assist control and downhill assist control. The Prado Altitude is available in four colours – black and the $550 option of silver peal, crystal pearl and graphite. It is covered by Toyota Service Advantage with services capped at $240^ for each of up to six standard scheduled services.